Recently I did two seemingly unrelated activities that sparked thought, analysis, and frustration. First, I flew to Phoenix and back. Second, I bought milk and bananas at my local convenience store. Spending hundreds of dollars on a plane ticket entitles me to stand in long lines, endure scrutiny from authority, be treated as guilty until I prove my innocence, subject myself and my belongings to pointless, mindless, sometimes uncomfortable and embarrassing search–and occasionally seizure, as in the case of a $25 bottle of wine I inadvertently had in my sole piece of luggage, my carry-on and was forced to surrender. I hope someone enjoyed that wine with a good steak. Security staff are bossy, morose, suspicious (of course), humorless, and treat travelers like sheep being herded through the chute on our way to slaughter. One dares not try to be friendly with them, or crack jokes, or make snide comments for fear of being yanked out of line and subject to more humiliation and possibly missing one’s plane, if not arrested or otherwise treated as a criminal. Spending three dollars and fifty cents at my local Kwik Trip for a gallon of milk and a half-dozen bananas entitles me to friendly, cheerful, efficient service, virtually no waiting in line, in a non-threatening environment. The staff thank me for my business, encourage me to come back soon and spend more money with them, and treat me like a human being, not a lamb headed to slaughter. The difference: The Transportation Security Administration (TSA) is a government bureaucracy. Kwik Trip is a private business. TSA operates inflexibly, arbitrarily deciding what’s safe and what’s not, unresponsive to complaints or challenges, and not responsible to anyone other than at budget time when it asks for more money and manpower in order to secure its place at the government trough of tax dollars (or more and more, government-created debt). Kwik Trip provides convenience items like food, sundries, gas, in a pleasant, efficient, strategic location designed to encourage customers to return repeatedly. Each store manager is responsible to his/her bosses, and ultimately the owners or shareholders, to maximize store profits while at the same time, increasing business and maintaining a good public image. The Intellectual Cornerstone of a Neo Renaissance life (Neo Ren) requires one to constantly evaluate and analyze the status quo to avoid the trap of blindly accepting everything that is posited as truth, reality, or “the way things are always done.” We think, analyze, and imagine in order to always be searching for better, faster, cheaper, cleaner, more efficient, happier, more logical, and/or more useful. We strive to correct wrong, eliminate injustice. So what would a world look like in which the TSA and Kwik Trip switched ownership? What if the TSA was replaced by security provided by individual airlines at each airport? What if Kwik Trip was a government entity? It doesn’t take much imagination to envision a trip through airport security as a pleasant, fast, friendly experience. Each airline would compete for your flying business by either providing the best security service, or doing away with the TSA model and using profilers like they do in Israeli airports to identify and filter out suspected terrorists. If I feared a terrorist attack on my plane, I’d opt for the airline that provided the best security. If time was more important to me than safety, I might decide to fly the airline that offered the fastest (or no) security and take my chances. Eventually a consumer organization such as Consumer Reports would offer evaluations of the airlines in terms of security offered and promised and show who was the fastest in processing passengers, the safest, or a combination of the two. Travelers could choose what they preferred, and maybe pay extra for super-tight security, or get discounts for declining security service. The bottom line, each of us would have a choice of how we choose to travel. The convenience store experience might be one of understaffed, overworked employees who didn’t much care if you were checked out quickly, didn’t care if your coffee was fresh and hot, didn’t care if the rest room you used was cleaned regularly, didn’t care if you came back to their store again. 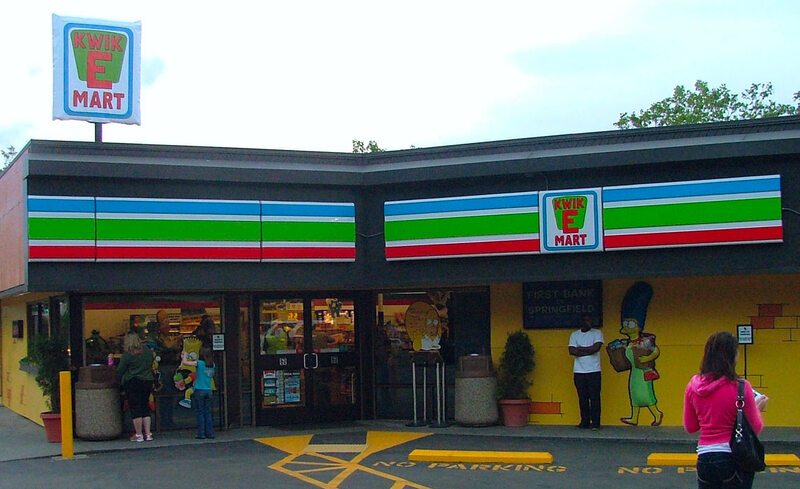 Eventually, we’d all end up going to our full size grocery stores or stand alone gas stations because they’d be better and even faster than the government-run convenience stores. My point is that we would never tolerate an unresponsive bureaucracy controlling an everyday activity like buying food or fuel. Why do we tolerate government bureaucracy controlling our air travel security? Why do we tolerate government interference in other mundane activities that experience has proved that private enterprise is better suited to control? Why do we refuse to let go of the theory/belief/insistence that either govt does something or it doesn’t get done? Why do we as a society refuse to give private enterprise a chance to fill the void in a product or service that would arise if government got out of the myriad “businesses” of controlling our lives? I have no answers other than we need to think outside the box that politics has built around government as being all things to all people, promising everything, but providing very little of substance or meaning. My Questions: Put on your Neo Ren hat. What government services do you think would better handled by private businesses, and why? This entry was posted in Intellectual, politics and tagged airline travel, Consumer Reports, convenience stores, government, Homeland Security, Kwik Trip, Neo-Renaissance, private business, Transportation Security Administration, TSA by CNWriter. Bookmark the permalink. I often think similar thoughts over here in the UK. If Amazon was running Royal Mail, if John Lewis ran the country, if I had the choice of which council I paid council tax to, I’d get better, cheaper service. Thanks< Lexi, for reminding us that bureaucratic inefficiency in government is worldwide. ← Previous Previous post: The Olympic Games: Just Another Made-for-TV Reality Show?